Toadvine offers expert assistance in completing your bleacher renovation project. 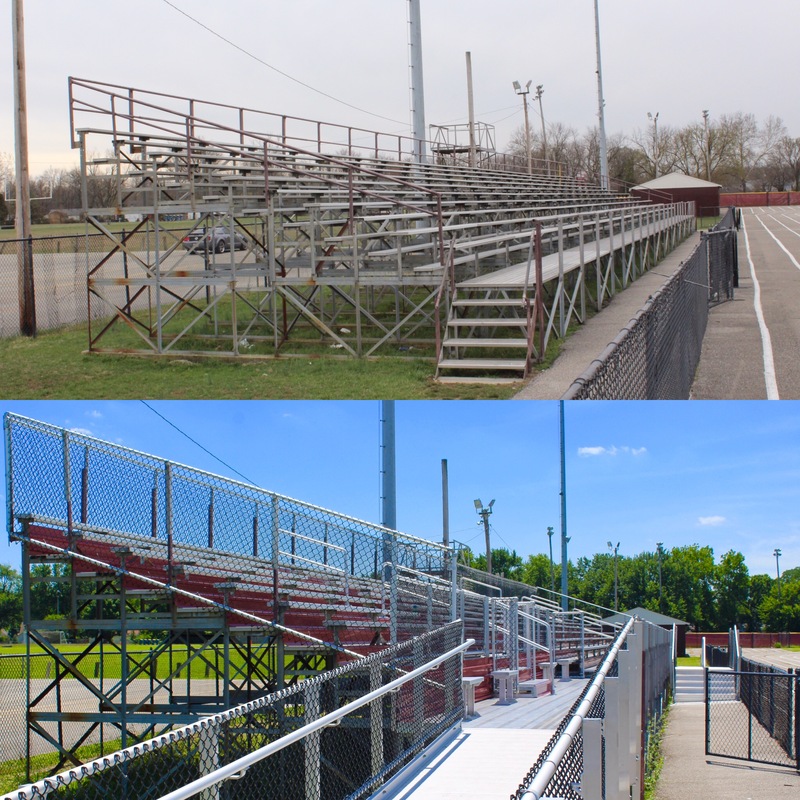 Renovations, upgrades, and retro-fits are cost effective ways to give your old used bleachers a new and improved look. We will evaluate your current bleachers and help you determine what actions are needed to bring your outdoor bleacher seating up to current safety and compliance codes. Let us assist you and ask for a consult today!